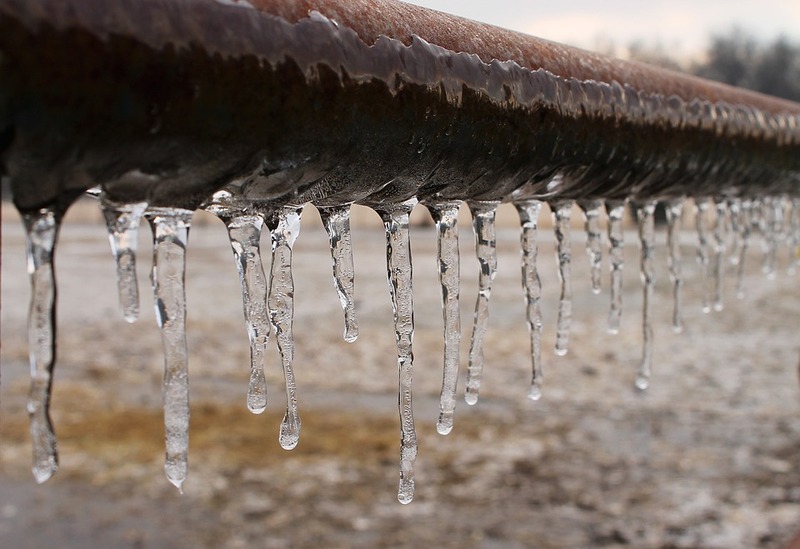 Cold temperatures can result in frozen pipes, which can, in turn, lead to burst pipes that cause flooding. But while freezing pipes typically occur in cold climates where winter temperatures often fall below zero, the problem is not unique to these areas. In cold regions, people usually take precautions and insulate their pipes. But an unexpected and drastic drop in temperature can take people in typically warm regions by surprise. Before they think to insulate their pipes to shield them against the frigid weather, their pipes may burst. People tend to think that pipes explode due to the ice that builds up inside, but this is not the actual reason. Pipes burst because temperature plunges increase pressure within the pipes, putting too much stress on the pipe’s composition material. When water freezes, the water molecules crystallize into a hexagonal form that occupies more space than water molecules in liquid form. As the water inside the pipes expands, the water is forced toward the closed faucet. As this immense amount of water pressure builds up between the ice blockage and the faucet, the pipe will rupture under its own pressure. The bursting usually happens at the spot in the pipe where there is little or no ice. The area of the pipe upstream of the ice does not typically burst due to pressure. Rather, the build-up of pressure occurs downstream of the ice in the unblocked area where the temperature is warmer. The pipes that are most prone to bursting are found outside of the building insulation, or in the unheated areas of the house such as the basements, attics, and crawl spaces. Insulating the vulnerable pipes in the house could prevent the phenomenon of bursting and all of its damaging consequences. The use of fiberglass or foam insulation can help protect pipes during cold weather. Another way to prevent pipe freezing is to keep the faucet open a little bit to allow water to trickle out. This small trickle can prevent the build-up of pressure that results in ruptured pipes.